As a once upon student of International Management, Organization behavior & cross-cultural communication, the book was a very interesting and fact-based reminder of how nuances of cultures can make or break teams, projects and even organizations. In my opinion, Organization culture and its context with geographical culture is often most under rated yet one of the most critical aspect for managing projects and driving change successfully in an organization. The book is essentially a well-documented research work complete with statistics, examples and things to consider in context of international cultural dimensions. The book is organized in two parts. Part 1 introduces the concepts of change, culture, and perspectives and sets up a background for the part II. The second part is putting the research into perspective and how leadership styles, motivations, learning styles et al, are influenced by certain cultural dimensions. The author introduces the topic, introduces models and culture dimensions and explains with examples. The book first makes the reader familiar with the fact that the organization culture is not an island in itself but rather reflective of national, local and personal culture of individuals that form the organization. The author then introduces the cultural dimensions through models. He then goes on explain how each of the dimensions as explained in the different models are all intertwined. Thus making no one model as hall mark of cultural dimensions to consider while evaluating cross cultural communication & change management strategy. All of it leading to concept of “Cultural Intelligence” and how as managers we need to consider context. At a couple of points in the book while highlighting some statistics from his research, the author has referred to “Hindi” language as “Hindu” or “Hindustani”. For a topic such as the title of the book, it seemed like a glaring oversight. As project managers in the increasingly global world today when it is very common to work with project teams spread across geographies, the book is well structured and includes easy reference tables that can be considered for your specific situations and help with questions you can ask yourself to draft your own management style. Baninder (Binny) Malik is a Project Management professional with degree in International Management Studies from University of Texas at Dallas and MBA from Institute of Management Technology Ghaziabad, India. She has been working as Project Manager in Fin-Tech and Payment industry focused on delivery within the IT General Controls framework. Well versed in Software Development Life Cycle (SDLC), in her work experience she has managed & successfully delivered projects ranging from digital transition to expansion of Organization in international markets along with regular maintenance & improvement-oriented projects. Editor’s note: This book review was the result of a partnership between the publisher, PM World and the PMI Dallas Chapter. Authors and publishers provide the books to PM World; books are delivered to the PMI Dallas Chapter, where they are offered free to PMI members to review; book reviews are published in the PM World Journal and PM World Library. 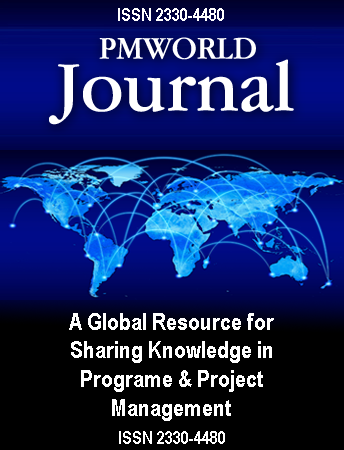 If you are an author or publisher of a project management-related book, and would like the book reviewed through this program, please contact edit@pmworldjournal.net.